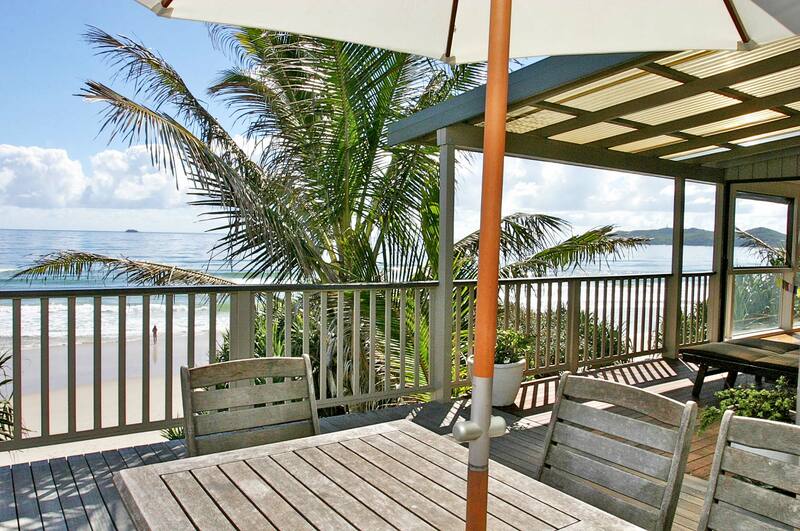 Seeking sun, surf and sand in Byron Bay? 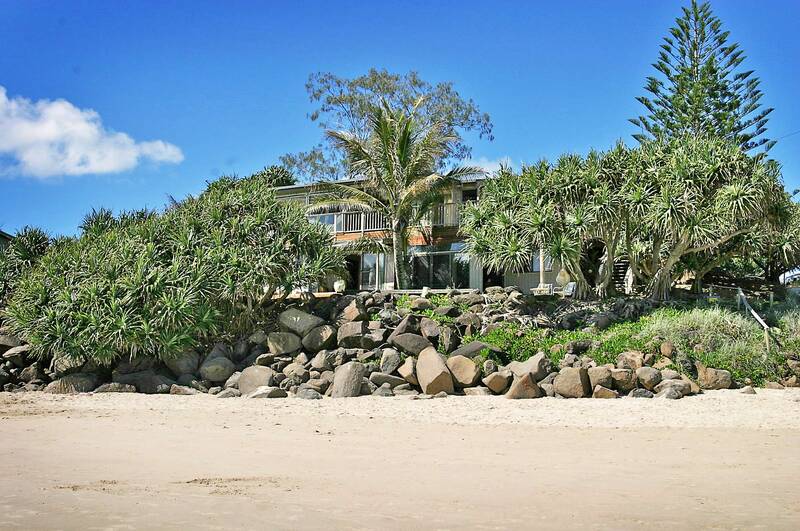 Create the holiday of a lifetime at Moonstruck – a stunning, private and absolute beachfront holiday home with 3 bedrooms and 3 bathrooms, located on the shores of beautiful Belongil Beach. 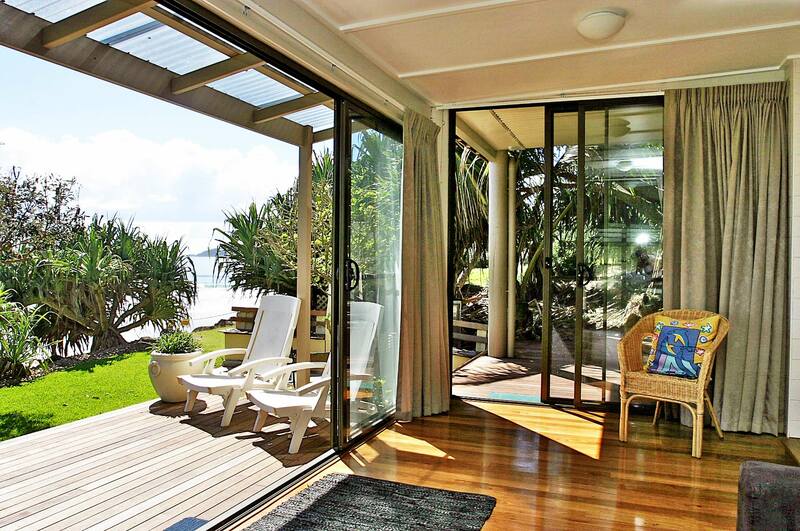 Relax in sun-drenched luxury in this flawlessly styled double storey home, with sloping timber ceilings, polished timber floors and wall-to-wall glass. Separate living spaces are located on each level and all three bedrooms have sliding glass doors, with access to the balconies beyond. 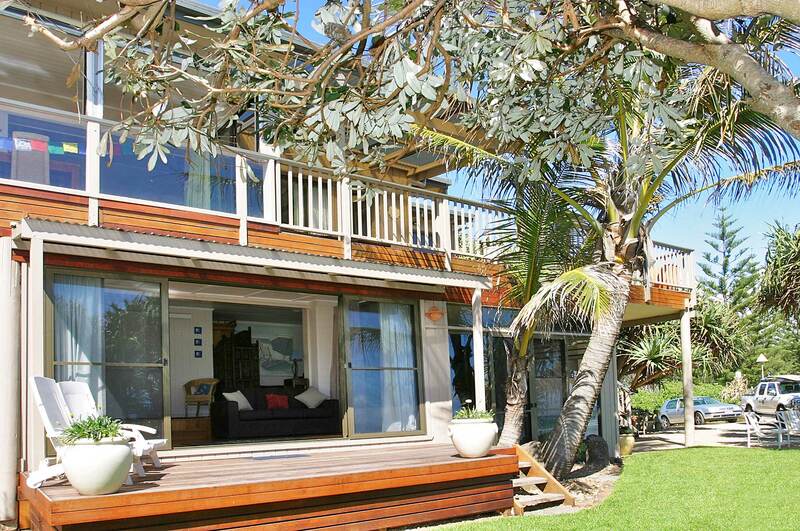 Upstairs, drink in the 180 degree panoramic ocean and Hinterland view from the expansive timber balcony and entertain, with dining setting and BBQ. 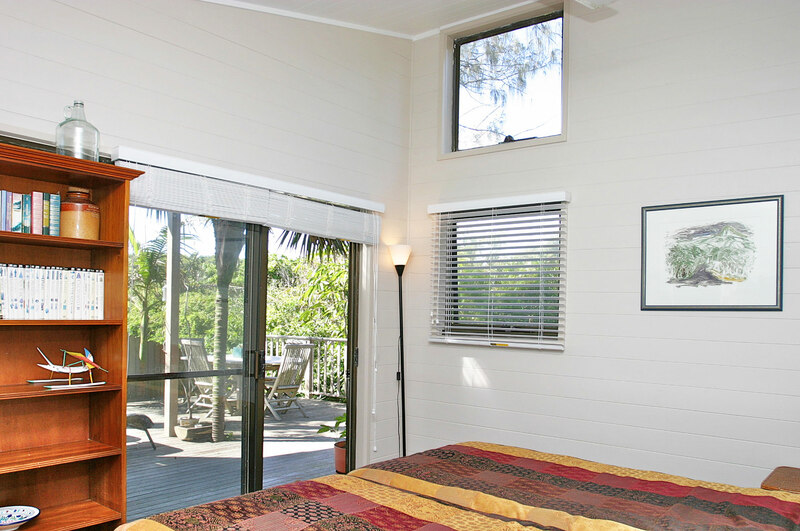 A second timber balcony is located downstairs, with access from the living space, overlooking the tropical gardens and Belongil Beach, only metres below (with private access directly from the rear yard). 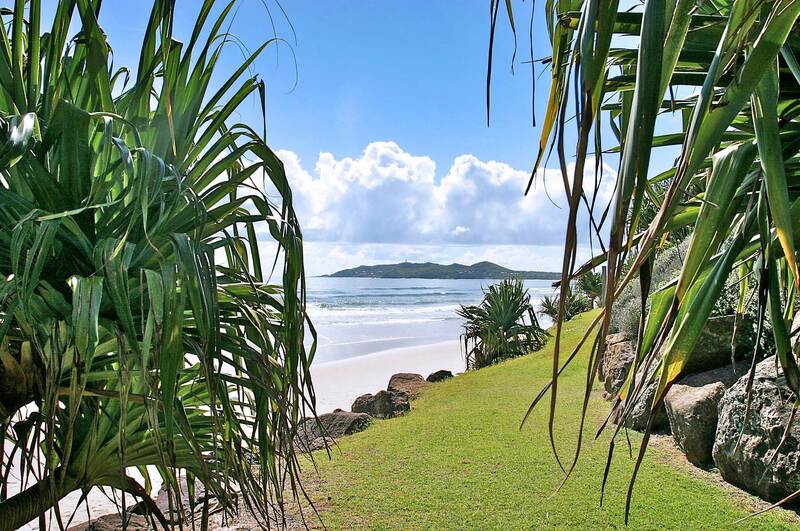 From this unrivalled location, wander 15 minutes along the stunning beachfront to Main Beach and the heart of Byron Bay. A spacious and open-plan living, dining and cooking space is located upstairs, complete with raised ceilings, nautical theming and extra height windows for maximum natural light. The stunning, sun-drenched dining space has a dining setting for 6 and wall-to-wall windows, which open out to soak up those sea breezes and experience true beachfront dining. 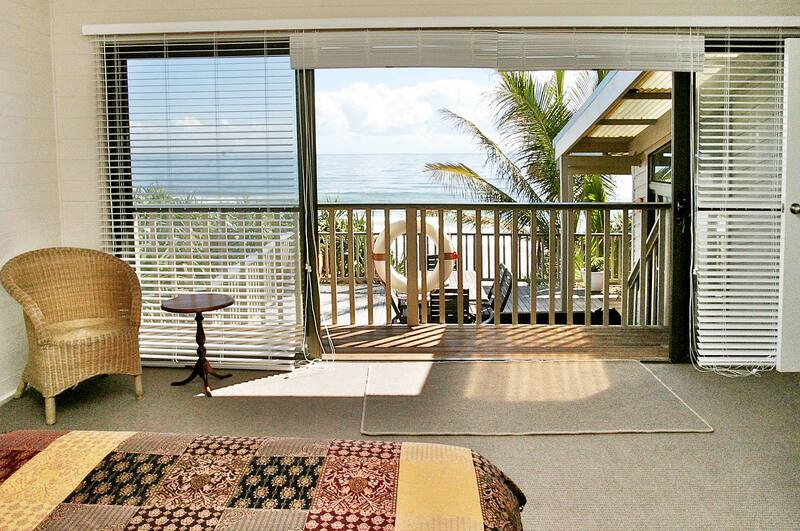 The living space promises rest and relaxation, with comfortable couches and double glass doors opening to the balcony and ocean vistas. An additional living space is located downstairs, with lounges to unwind with a book or your device, using the complimentary guest WIFI. 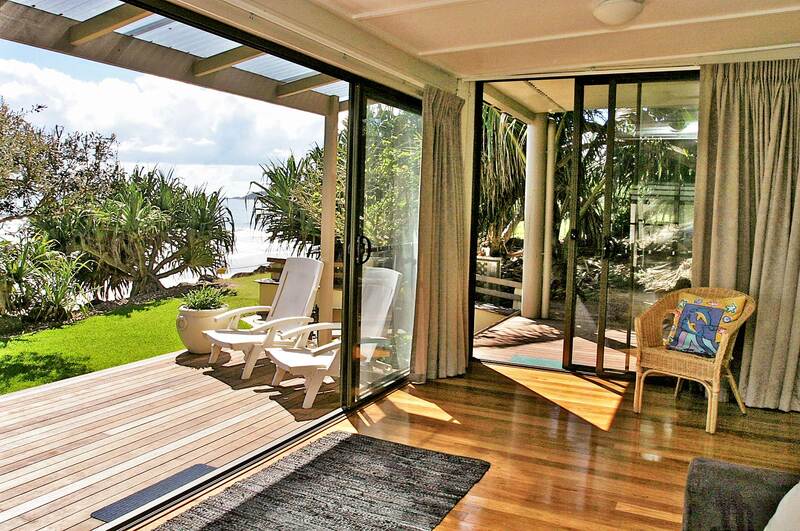 Double glass doors open seamlessly to the timber decking area, tropical garden and Belongil Beach below. 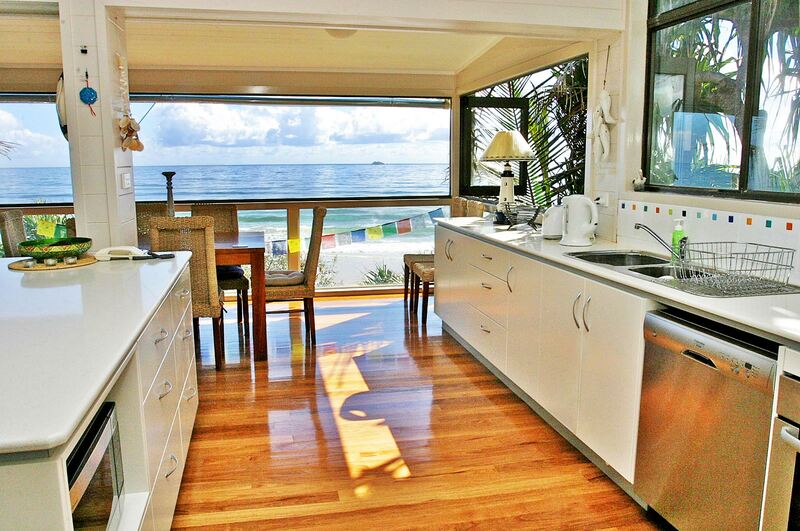 The modern and stylish kitchen is roomy and light-filled and comes complete with stainless steel appliances, modern pendant lighting and breakfast bar dining with rattan style stools. 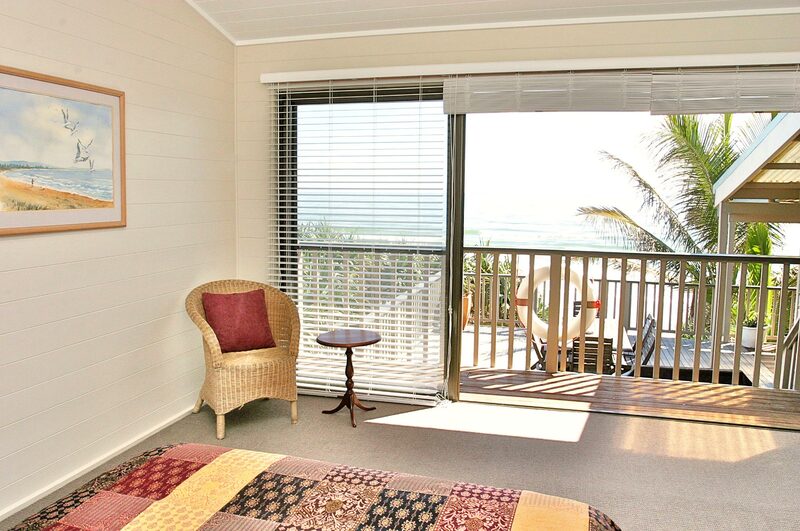 Sleep in beachfront luxury with all three spacious bedrooms fitted with quality furniture and linens and offering private balconies with ocean views. 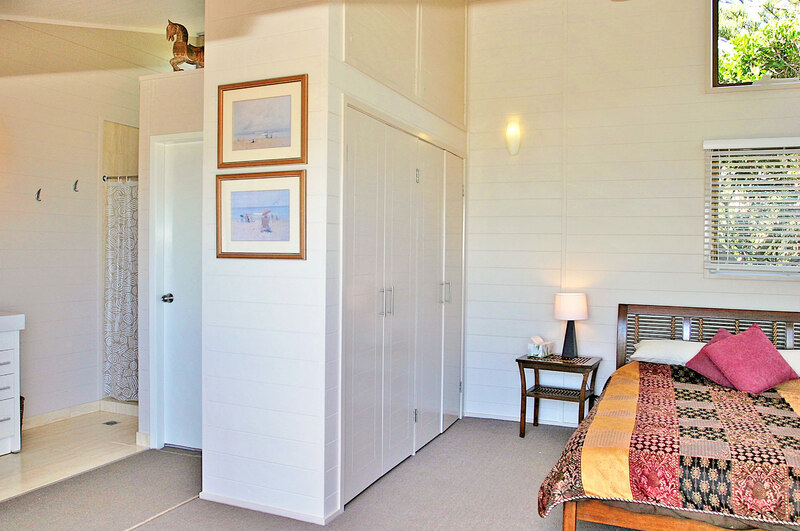 Moonstruck includes three modern bathrooms for guest convenience, one including a bath perfect for children and little ones. At ground level, a lush grassed area is framed by garden and a swinging pod chair hangs from a shady tree. 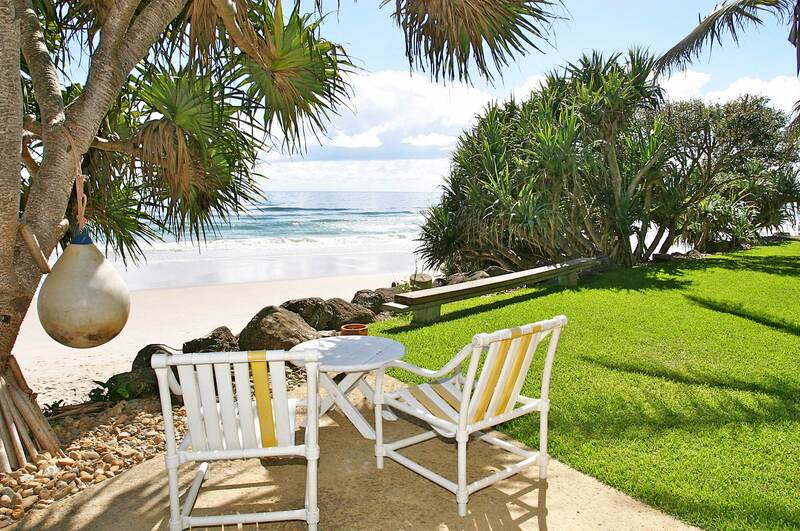 Sit and relax in the outdoor seating, watching the waves break on Belongil Beach just metres below. Relax under the stars with the soundtrack of the ocean and stay warm with the outdoor fireplace. 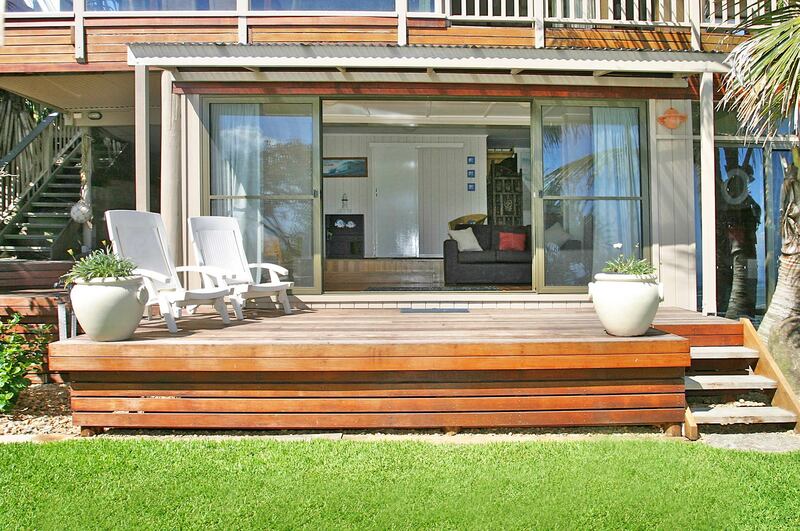 A timber balcony sits adjacent to the downstairs entry, with timber seating for sun-soaked rest and relaxation. 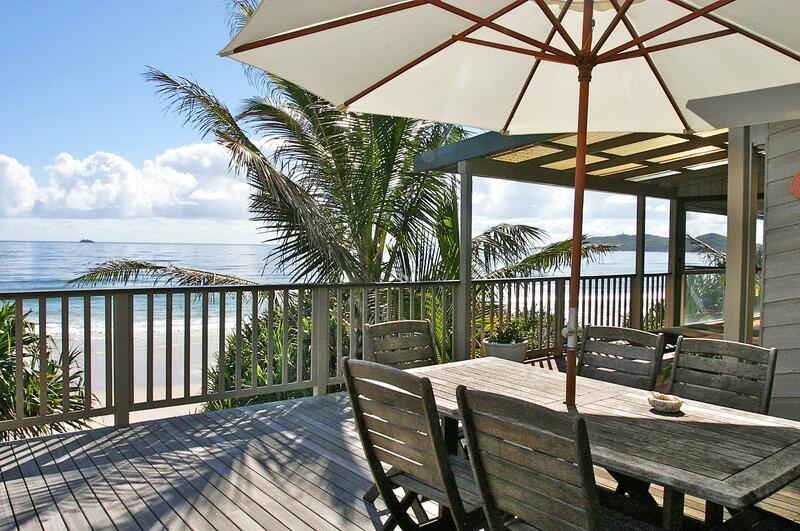 Upstairs, entertain and dine under the stars on the huge outdoor balcony upstairs, complete with 6 seat timber dining setting, sun umbrella and unparalleled ocean views. 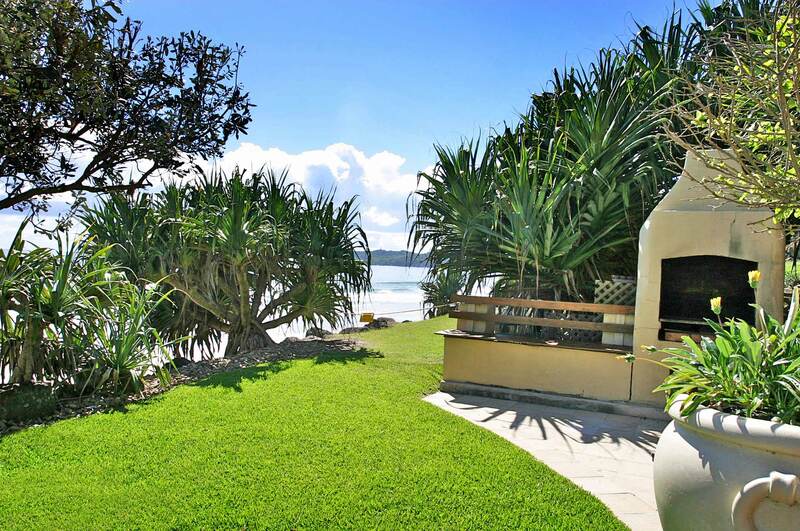 Moonstruck enjoys the most stunning, slightly elevated, absolute beachfront location on the shores of beautiful Belongil Beach. 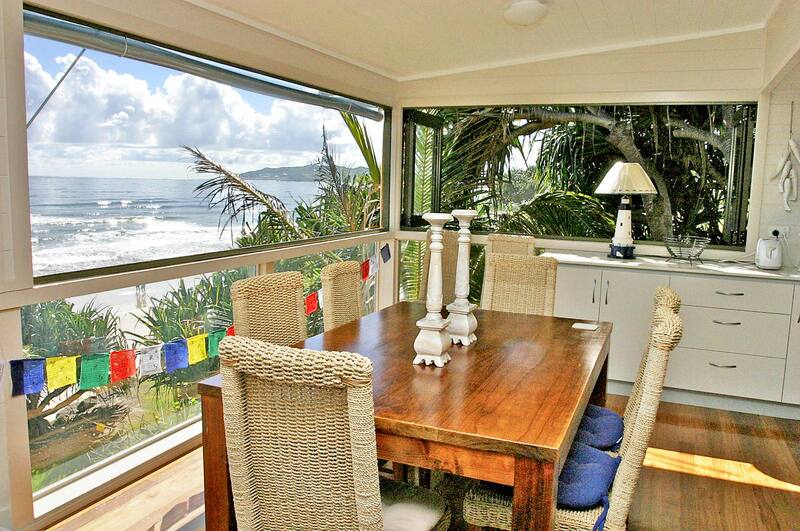 This stunning slice of coastline is framed by bushland and stretches 2.5kms north of the centre of Byron Bay. 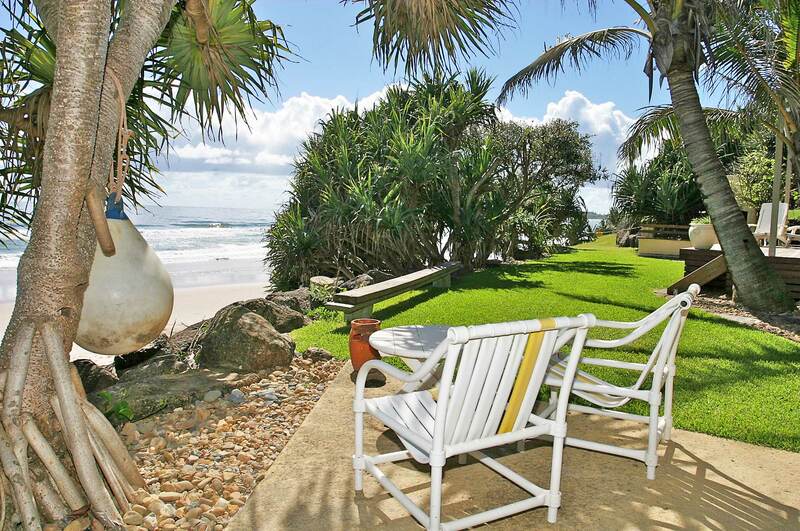 Long, mellow surf breaks, great swimming conditions and lifeguard patrols in busy months make this the perfect beach for all the family. 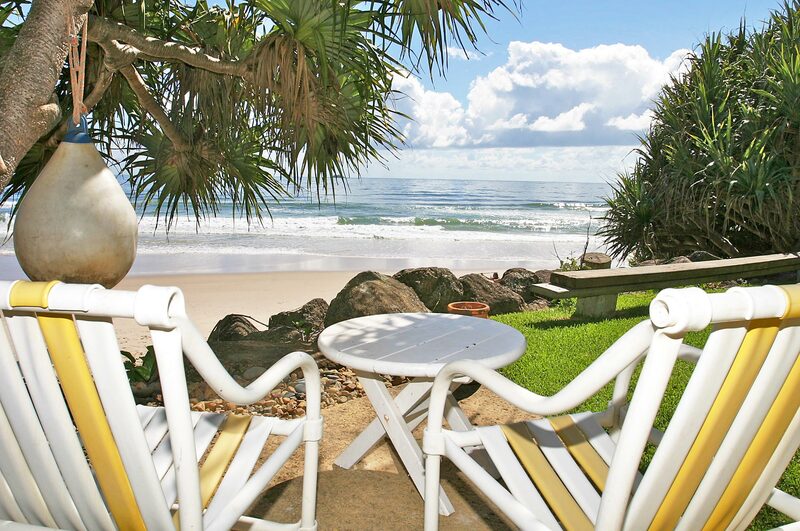 In close proximity is delicious, family-friendly Treehouse café and a lovely beachside stroll will see guests arrive at Main Beach and Byron Bay town in just 15 minutes. It was nice seeing the whales right on our door step and having the beach right in front of us. 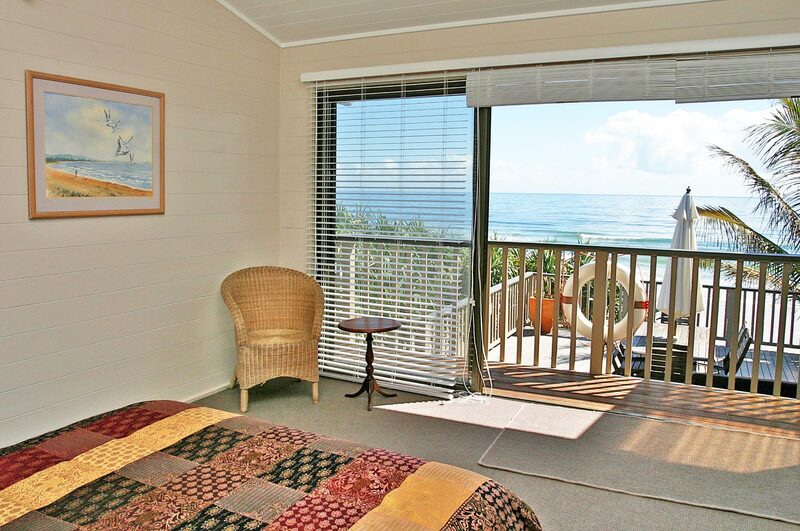 Best part was being in a quiet area very close to beach and seeing whales from our window on the first three says. 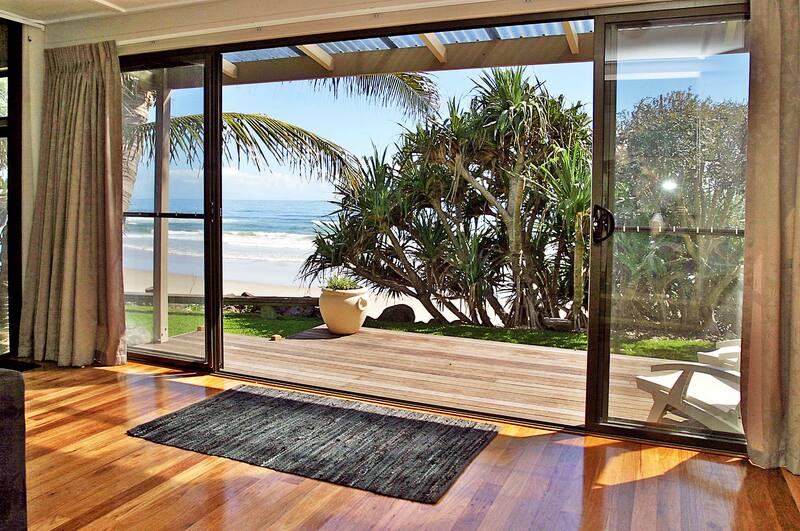 We stayed at the beautiful Moonstruck Byron Bay for a week and had the most relaxing time. 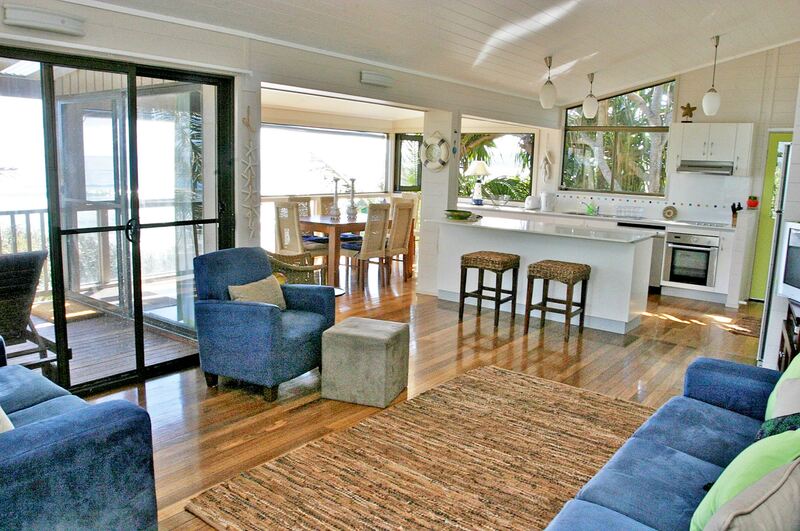 The house is clean and comfortable. We were able to walk to town along the beach. 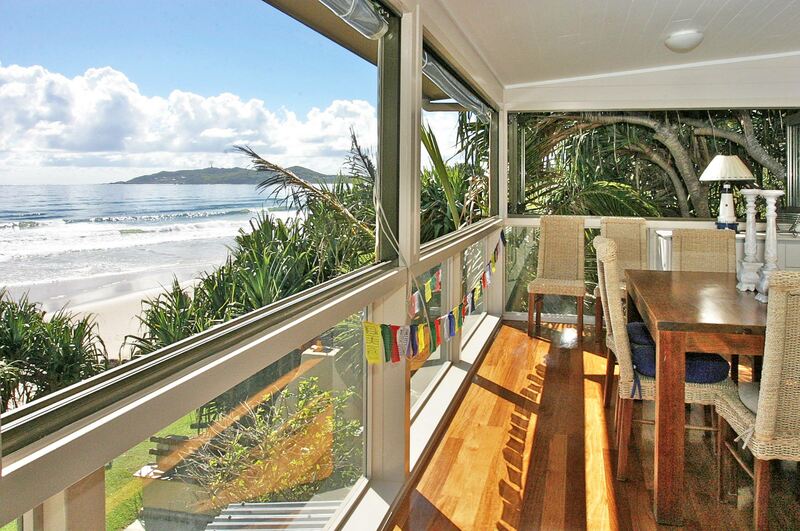 The highlight was sitting on the deck watching dolphins cruise by and whales breaching on the horizon. Would love to stay again in the future.